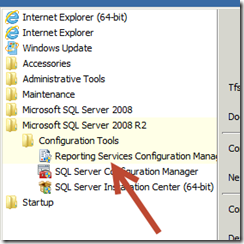 « TFS 2012: Team Foundation Service is RTWed ! 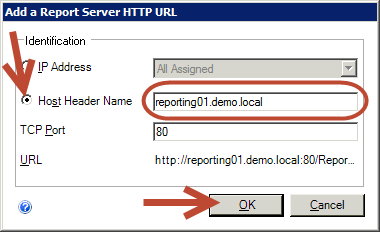 My domain used for this tutorial is demo.local. 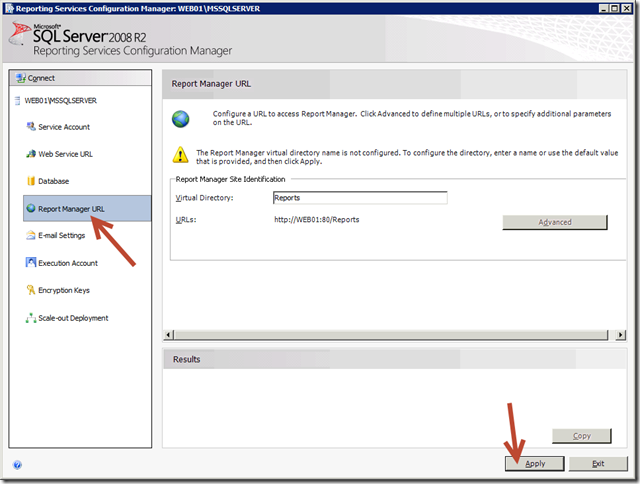 Go to the HKEY_LOCAL_MACHINE\SYSTEM\CurrentControlSet\Control\Lsa key. 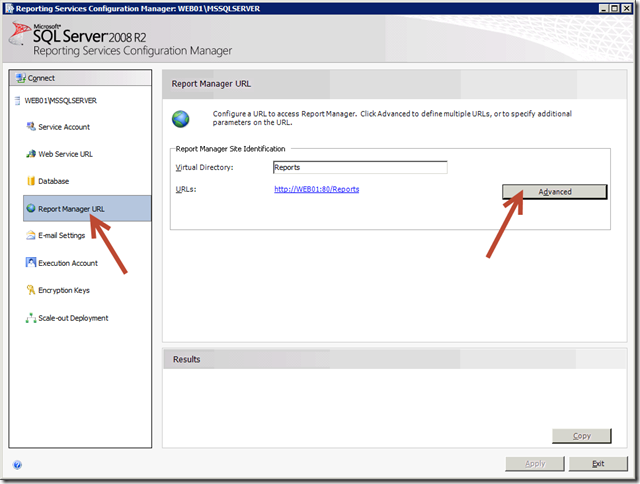 Add the DisableLoopbackCheck entry of type DWORD with the value 1. When the installation is done you must configure Reporting Services manually using the configuration manager. 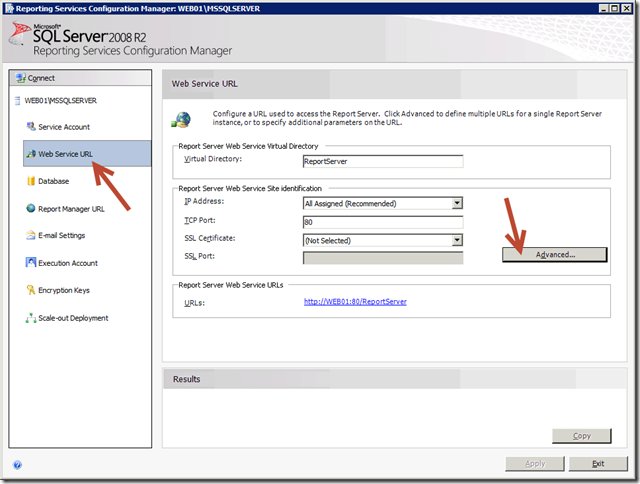 Connect to your local SSRS server. 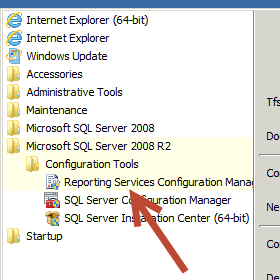 On the Database tab, click Change Database. 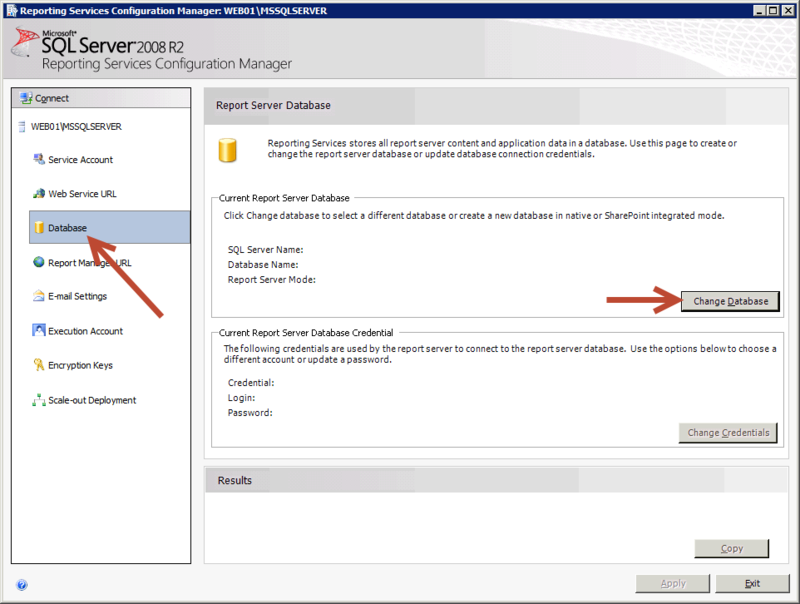 Select Create a new report server database and click Next. 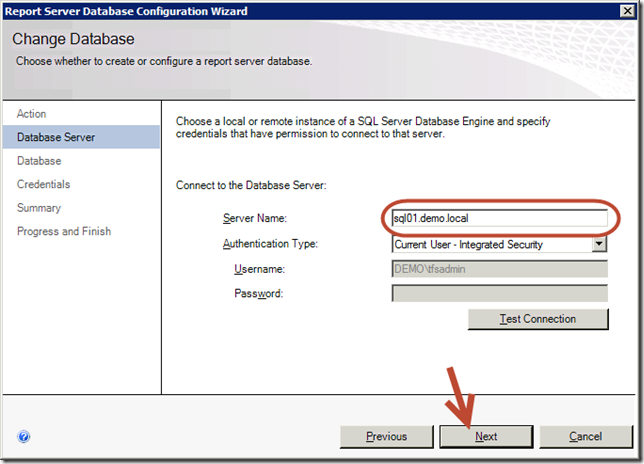 In the field Server Name, enter the fully qualified DNS name (FQDN) of the SQL server using it’s DNS alias and click Next. 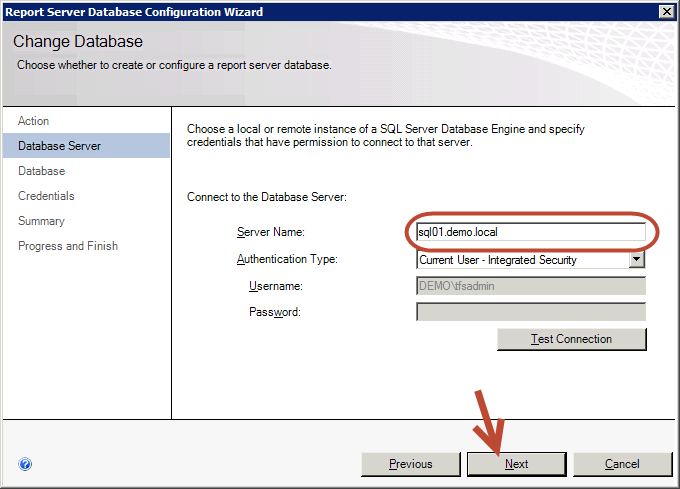 Finish the database creation by using the default values. 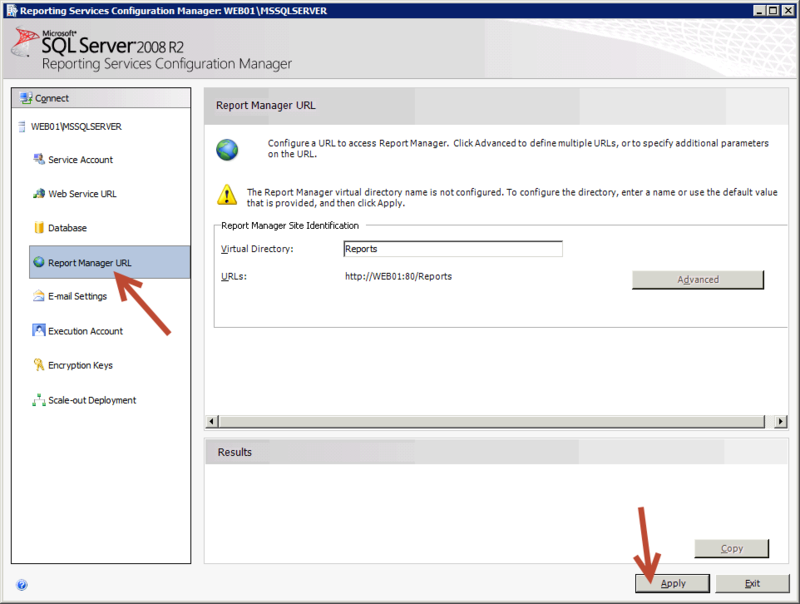 On the Web Service URL tab, click Apply. On the Report Manager URL tab, click Apply. 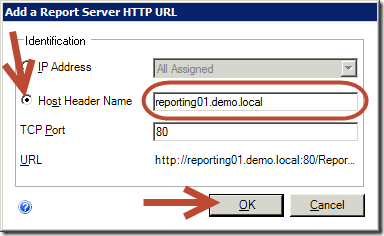 On the Web Service URL tab, click Advanced. 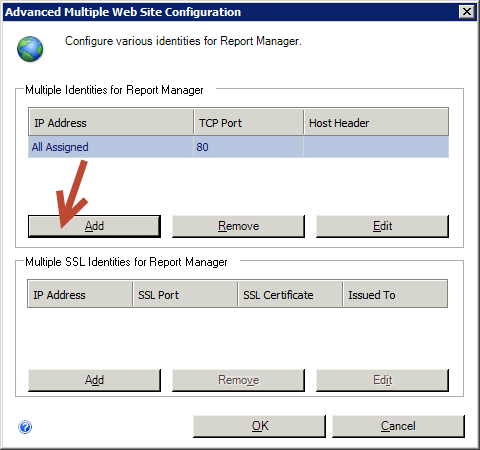 In the Multiple HTTP Identities section, click Add. 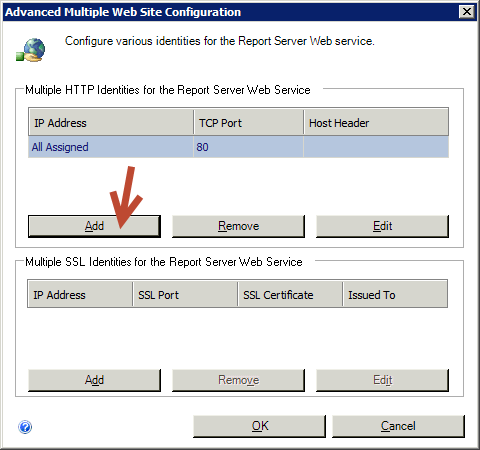 Click Host Header Name and enter the fully qualified DNS name of the Reporting Services server using the it’s DNS alias and click OK.
Click OK to close the Advanced Multiple Web Site Configuration window. 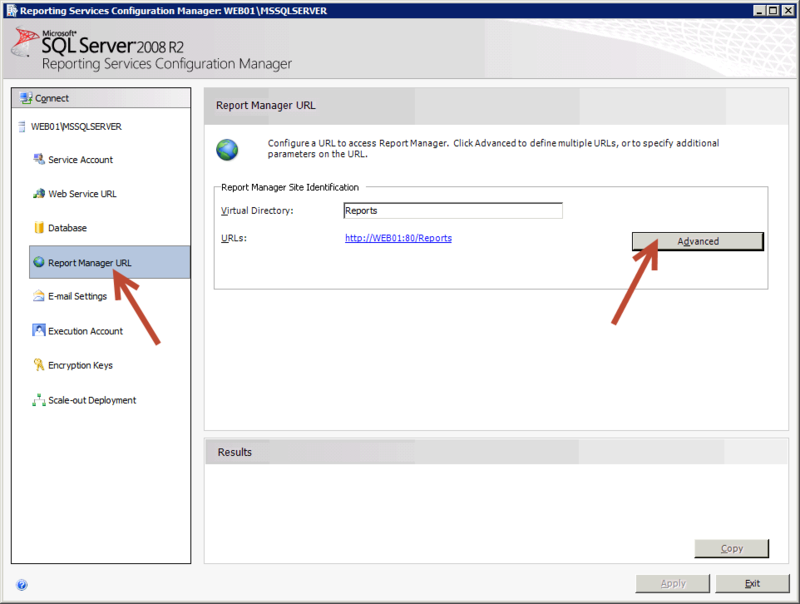 In the Dans l’onglet Report Manager URL, cliquez sur Advanced. 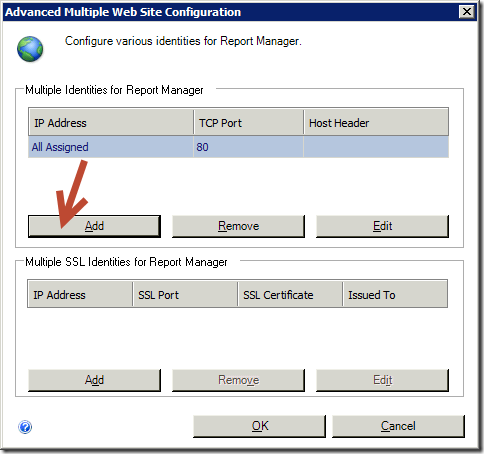 In the Multiple Identities section, click Add. 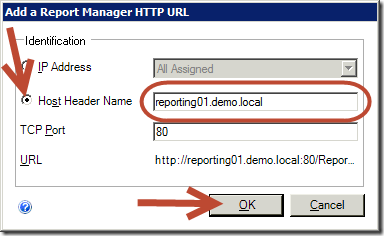 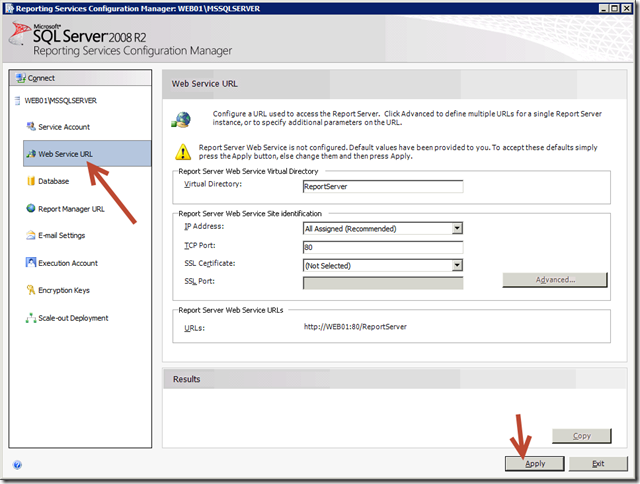 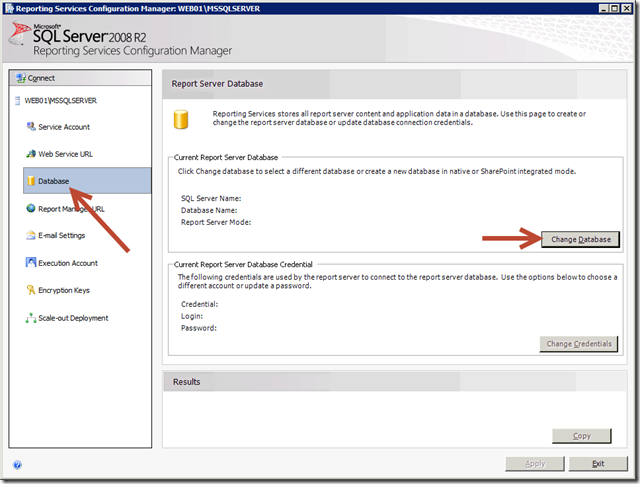 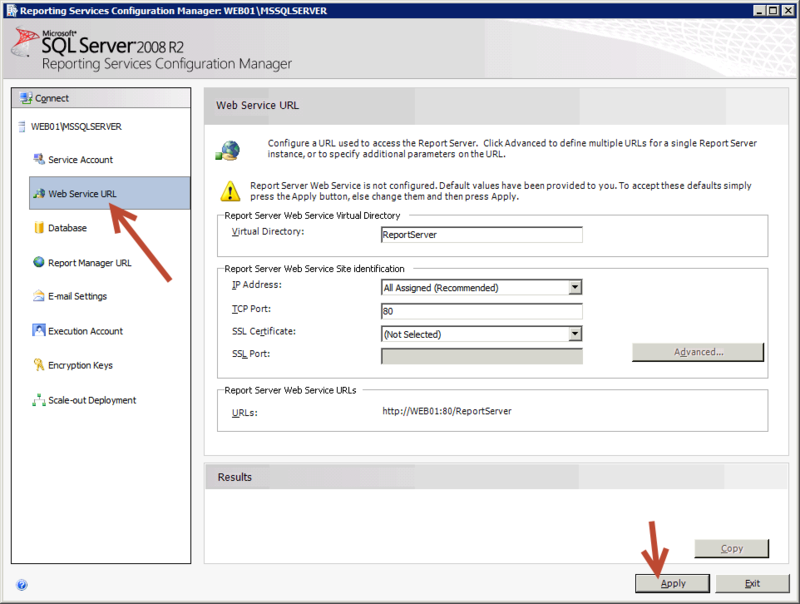 Click Exit to close the Reporting Services configuration manager. 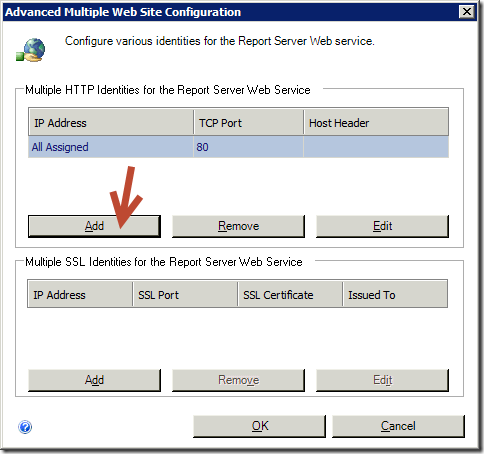 Here’s what you must do to install and configure the SQL Server components to work with DNS aliases For the next part we’ll see how to configure SharePoint.